KUALA LUMPUR (May 5): Inta Bina Group Bhd, which is tentatively scheduled to list on Bursa Malaysia's ACE Market on May 25 this year, is looking to raise RM26.76 million from the proceeds of its initial public offering (IPO). Of the IPO proceeds, Inta Bina will use RM9.56 million for working capital, RM9 million to repay borrowings, RM5 million for capital expenditure, and RM3.2 million for IPO listing expenses. The IPO will help boost Inta Bina's growth prospect, as it increases the company's capital to undertake bigger projects, said its managing director Lim Ooi Joo during its IPO prospectus launch today. "Our clients have asked us to take part in high-value construction. We have the expertise, but in the past, there was a bottleneck of capital, so our growth was limited," said Lim. "With this IPO, I believe our growth will achieve greater heights in the years to come," he added. The company is already registered as Grade 7 contractor with the Construction Industry Development Board (CIDB) Malaysia, added Lim, which allows it to undertake building and civil engineering construction projects of any size and value in the country. However, Lim said it plans to stick to what it does best — residential and non-residential projects, with an increasing emphasis on affordable housing and low-cost housing jobs in line with the government's initiative and direction in the near to medium term. "Part of the capital expenditure is to invest in industrialised building system, which is in line with government initiative related to affordable housing. We believe the investment can help us cut down construction cost and increase productivity for more competitive pricing," said Lim. Traditionally present in medium- and high-end property construction, the company has one affordable housing construction job — Eco Majestic in Semenyih — presently. However, Lim assured that quality is a focus regardless of the project. "We pride ourselves to have projects assessed under CONQUAS or QLASSIC by Building and Construction Authority (BCA) Singapore and CIDB Malaysia respectively," said Lim. "To us, we believe home is a right — affordable or premium." Inta Bina's clients include household names such as Eco World Development Sdn Bhd, Mah Sing Group Bhd and Gamuda Bhd. The company currently has an unbilled order book amounting to 13 projects worth RM486 million, with an additional tender sum worth RM434.05 million, including jobs outside the Klang Valley and Johor. For its full FY16, Inta Bina's profit after tax rose 10.6% to RM12.73 million, from RM11.51 million a year ago. Revenue, however, declined 5.44% to RM257.14 million, from RM271.94 million previously. Lim said the company breached its first RM100 million-mark in revenue in 2010, and broke the RM200 million barrier two years later. "Unlike what many say, the market is actually improving every year. The market size in terms of revenue of the construction market is expected to grow at compound annual growth rate of 4.8% from 2017 to 2021," said Lim. "I think we have many opportunities." 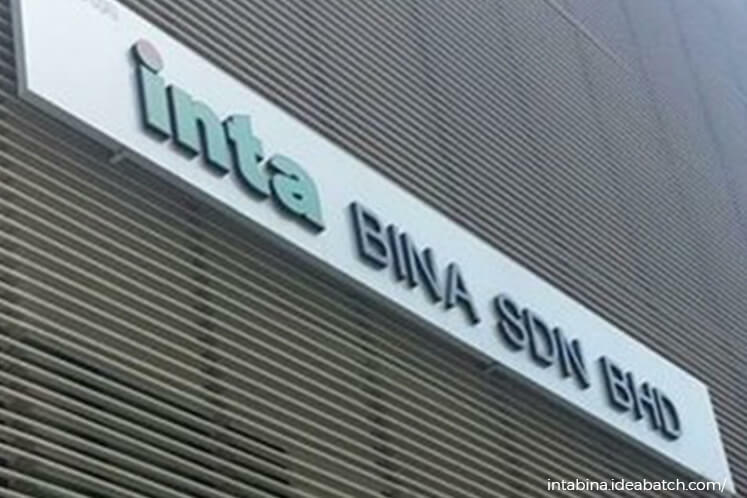 Inta Bina's IPO entails the issuance of 107.05 million new shares at 25 sen per share. Half of the new share issuance (53.53 million) is reserved for private placement to bumiputra investors while a quarter (26.76 million) is made available to the Malaysian public. Another 20.01 million shares are for directors and employees, whereas the remaining 6.75 million are for private placement to other selected investors. Its IPO is expected to increase the market capitalisation of the 25-year-old construction firm to RM133.81 million. It is open for subscription until May 15.